Well designed, very easy to use. The E24004 is a basic solo model - you may wish to look elsewhere if you need a grill or oven built in. 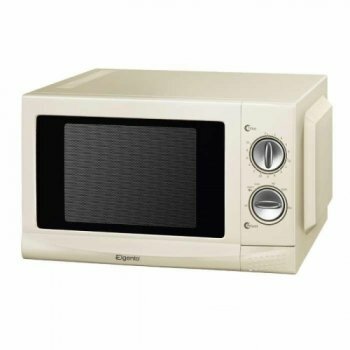 With the E24004, Elgento have created a cream microwave designed to match your cream themed kitchen appliance suite. Controlled by two simple dials, the Elgento solo microwave performs very well indeed, impressing our testers. 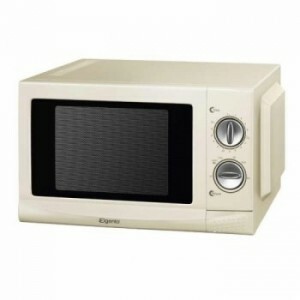 It offers very good value for money, and is one of relatively few cream coloured microwave ovens on the market. Capacity is 17 litres, making this model ideal for small to mid sized kitchens, and power is pretty reasonable at 700 watts. If you're after a decent cream solo microwave oven, then the E24004 is definitely worth considering. The E24004 works well, offers good value for money and also looks pretty good. Is there a guarantee with this microwave please?